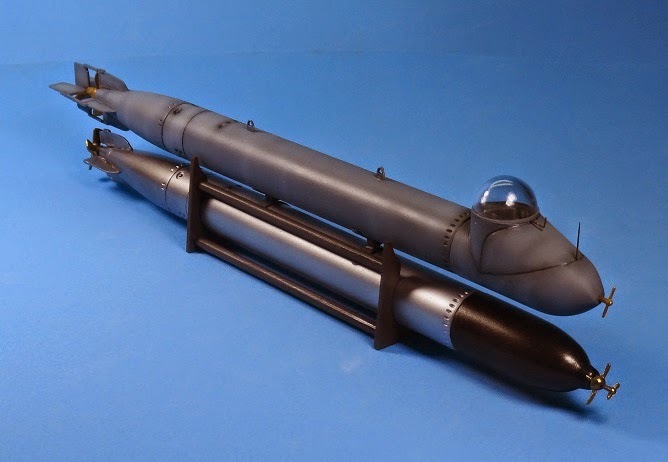 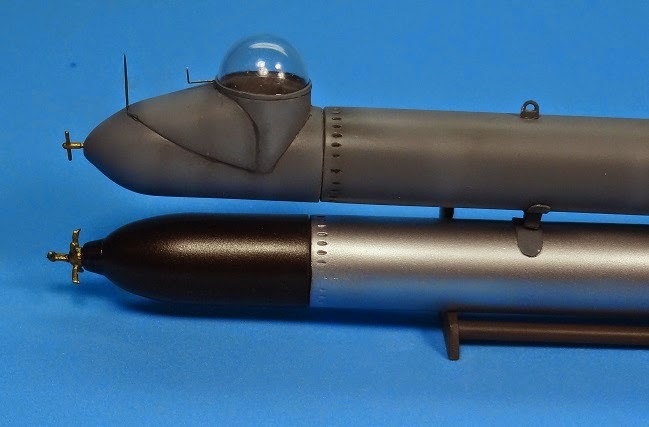 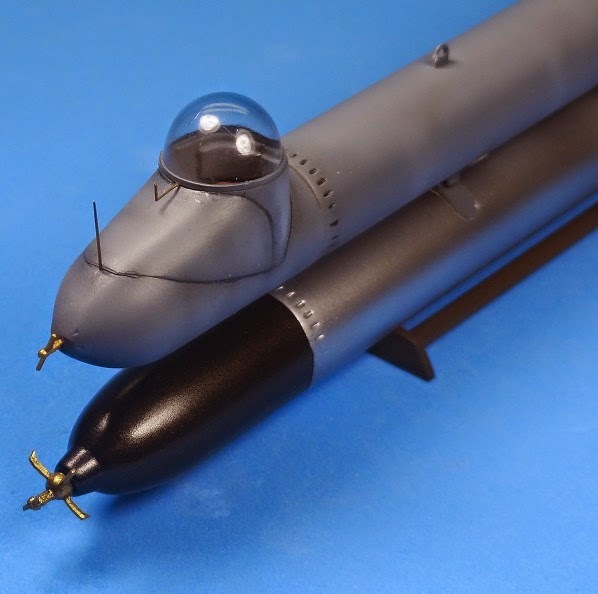 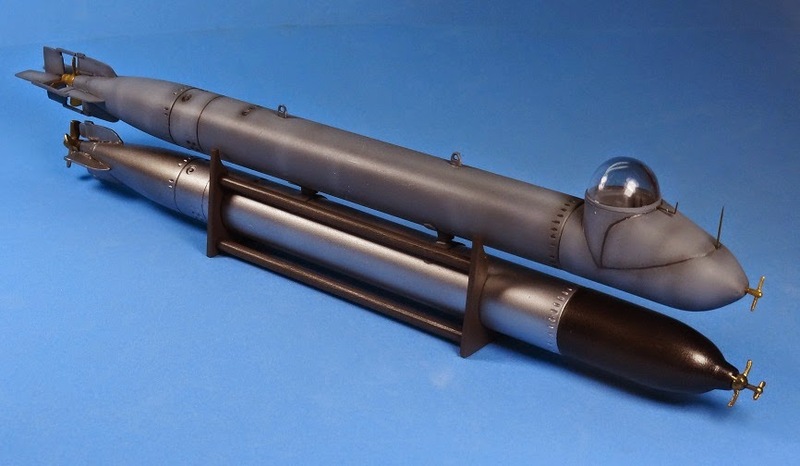 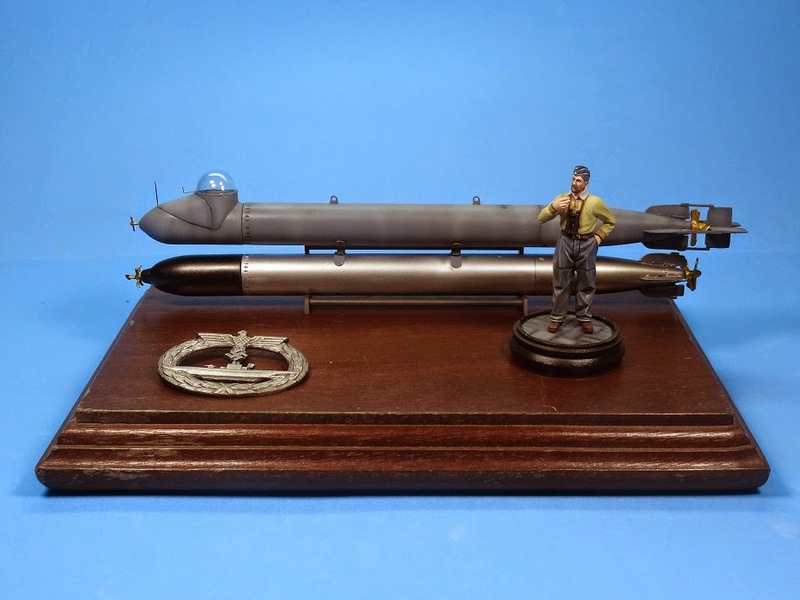 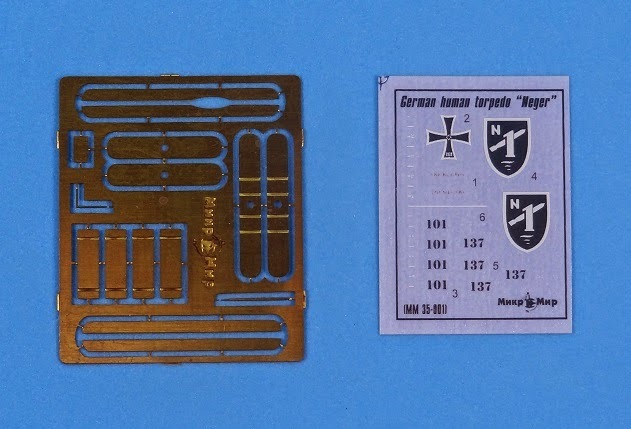 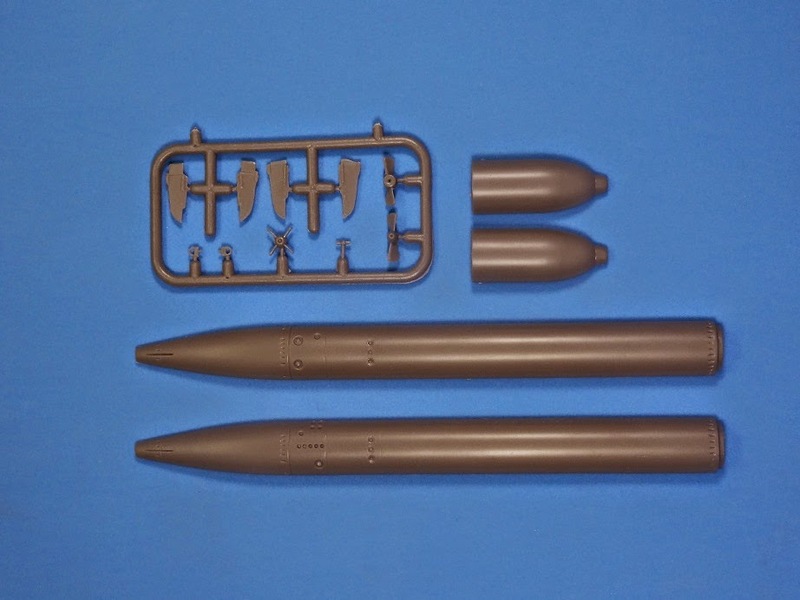 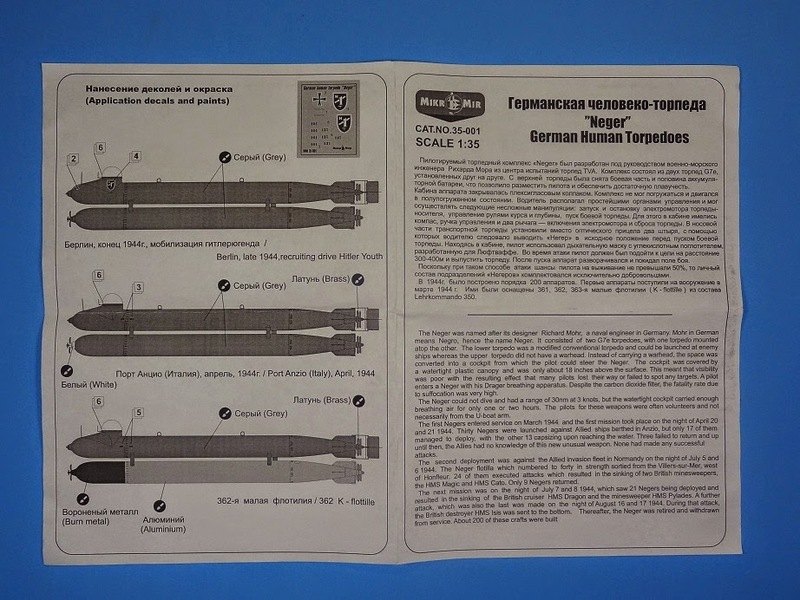 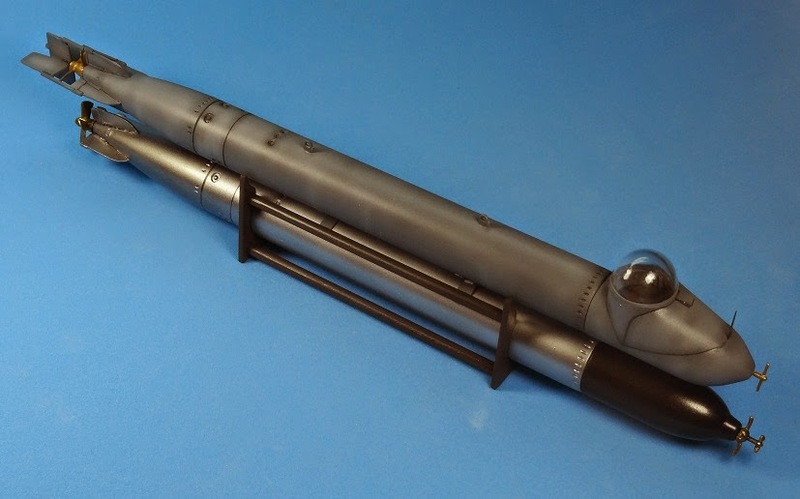 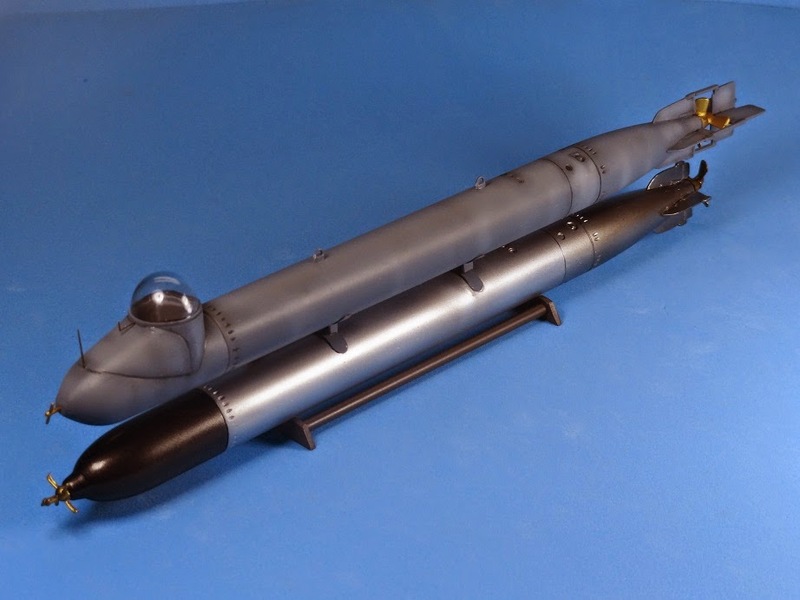 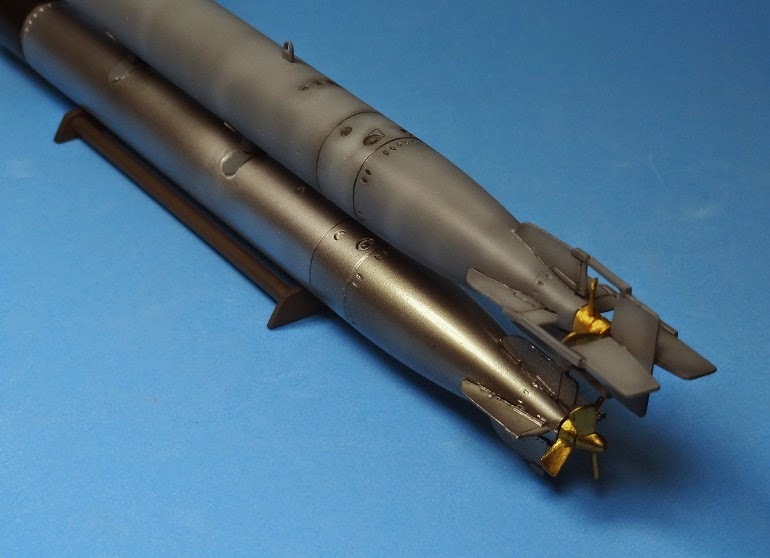 Plastic Models on the Internet: Boats vol.14: Richard Mohr's Midget Submarine "Neger"
Boats vol.14: Richard Mohr's Midget Submarine "Neger"
Richard Mohr's Midget Submarine "Neger"
The Micro-mir kit is simple but well done. 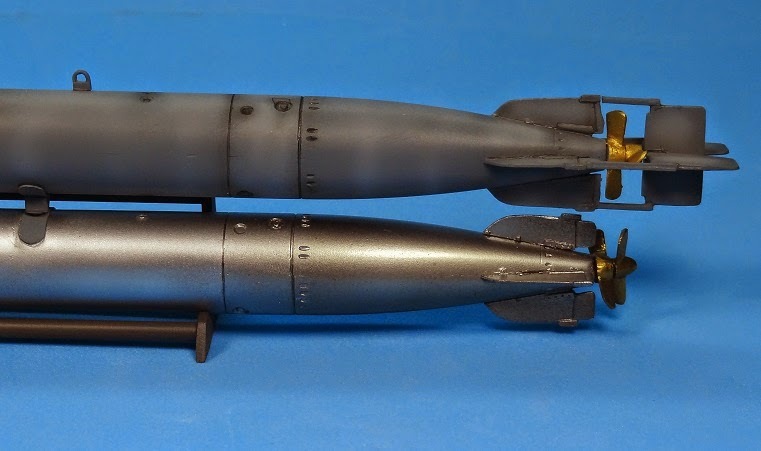 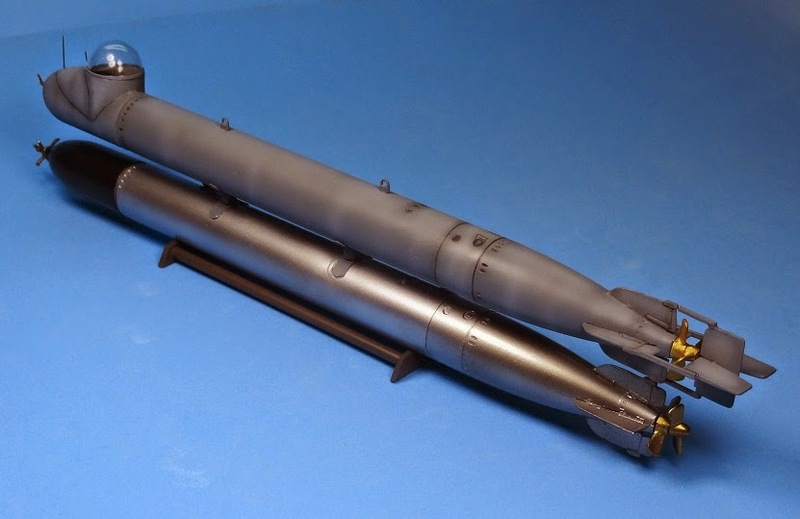 You got basically two torpedos, one will be the weapon and the other will be transformed on the craft by replacing the warhead with the cockpit. 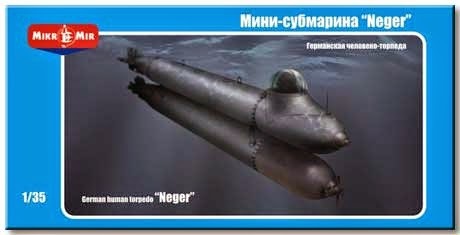 Fit is ok, with sone problems along the body of the torpedo/submarine, but nothing too hard to solve. 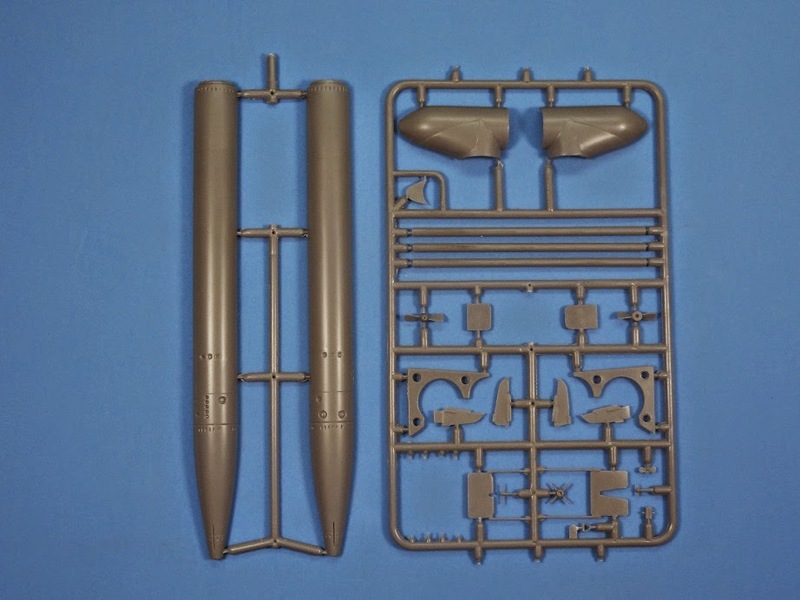 A simple display stand is provided for the completed kit. 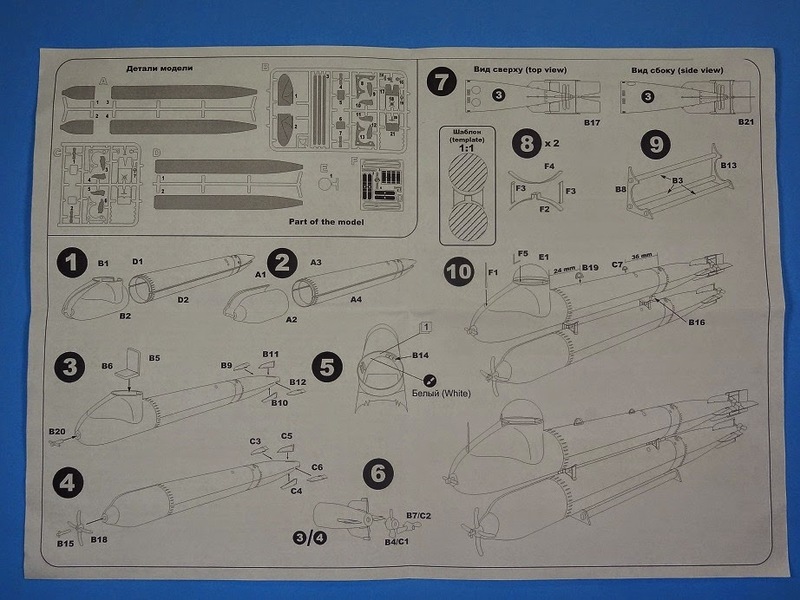 Markings will allow you to build two different version of the craft.